This post was originally published on The Fire Panel Forums on August 16, 2018. 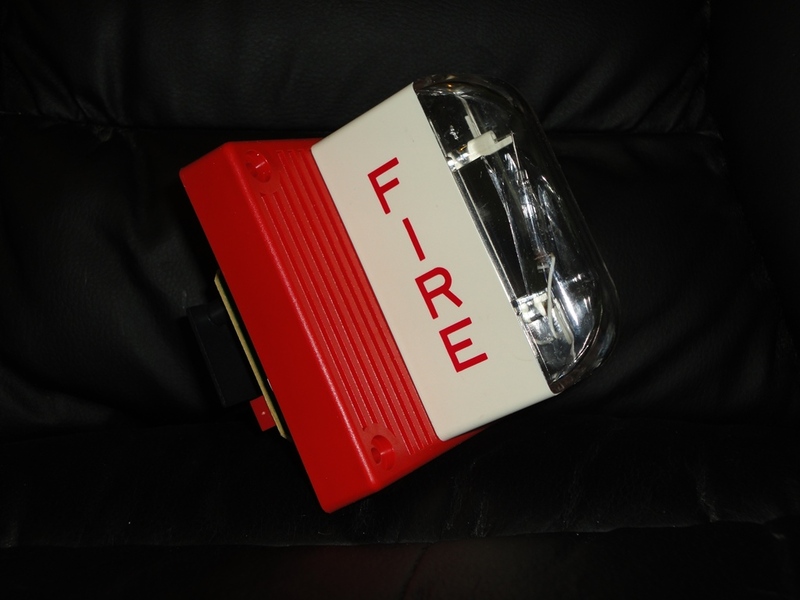 You did mention that the old Cerberus pyrotronics at the old WTC system had SS70 speaker strobes, however I have no idea what they look like and I wanted to ask you if you have any pictures or document of that particular device. Finding a definitive answer to this was a bit more complicated that just a simple Google search, so here is what I discovered. During this time, speakers were located in all floor areas, and were spaced to insure intelligibility and audibility. 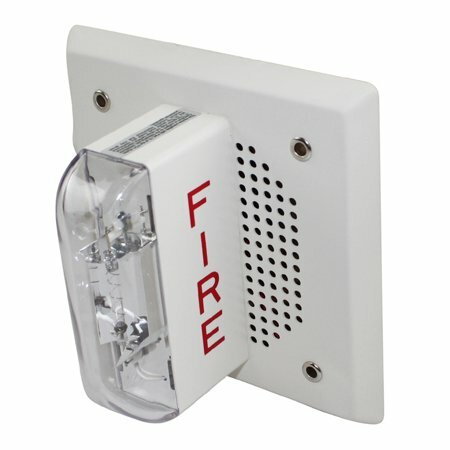 In addition, strobes were located in all common areas that were area spaced and rated to ensure adequate illumination for notification of the hearing impaired. The speaker strobes were supposedly Cerberus Pyrotronics SS70-15/75, or a similar product (as speculated by a member of The Schumin Web Community several years ago). Fortunately, I was able to find the page where I gleaned this information from, which is a 9/11 conspiracy forum that seems like it was attempting to find out if a company as sinister sounding as “Cerberus Pyrotronics” was “in” on the fact that 9/11 was an inside job. Needless to say, they didn’t uncover anything, but they did nicely preserve the post from The Schumin Web Community that I was referencing. A: Well, obviously what’s in the documentaries aren’t the real alarms (unless it’s actual footage of the buildings). Reading all the reports, I have the model #s of all the devices, but the trouble is the signals are hard to come by. For instance, the combination speaker/strobe units were Cerberus Pyrotronics SS70-15/75. 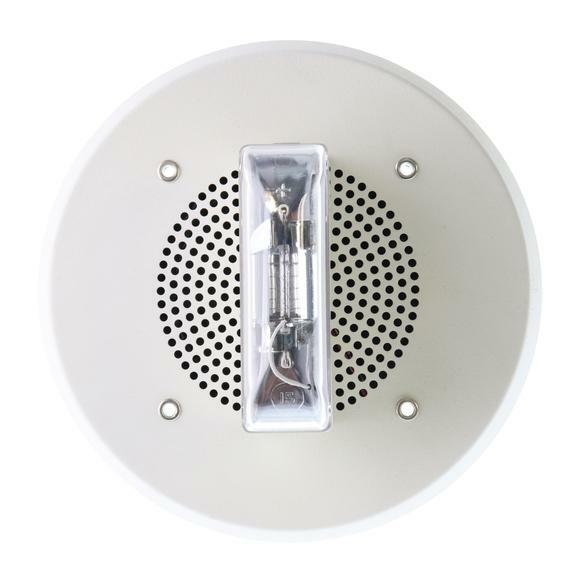 I thought these would be MTL-style speaker/strobes, but last week, I came across an auction for an alarm w/ the exact same model #, and it turned out to be a rebranded Wheelock LSM speaker/strobe. 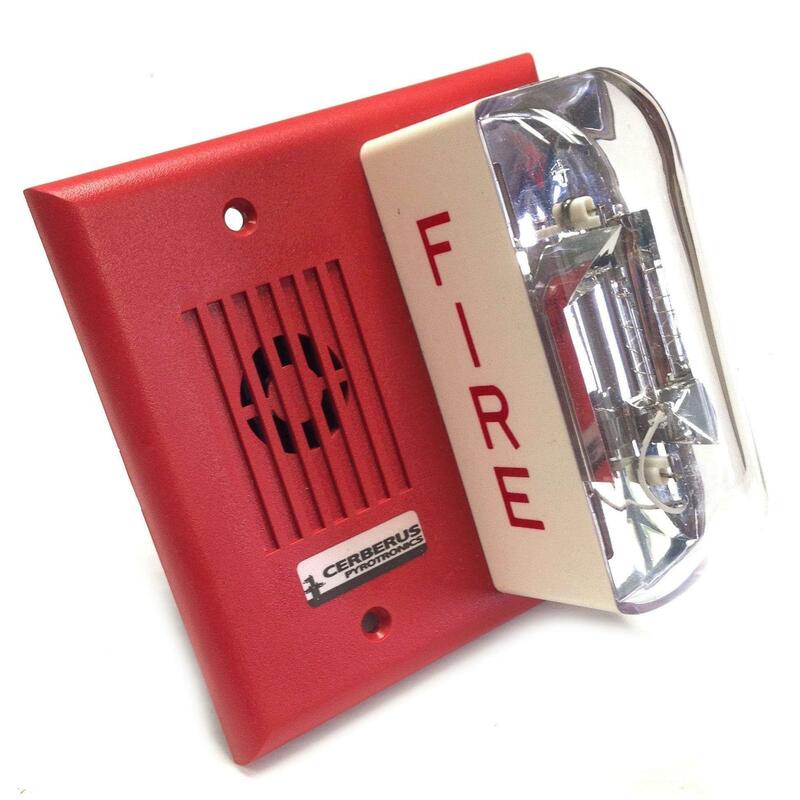 SO, IDK whether they were rebranded Wheelock alarms or actual CP alarms. But yes, the main panels were Cerberus Pyrotronics MXL-Vs located in the lobbies of the building they served. They monitored 5 remote panels, which monitored 8 “slave” panels which monitored “fire control cabinets” on each floor. 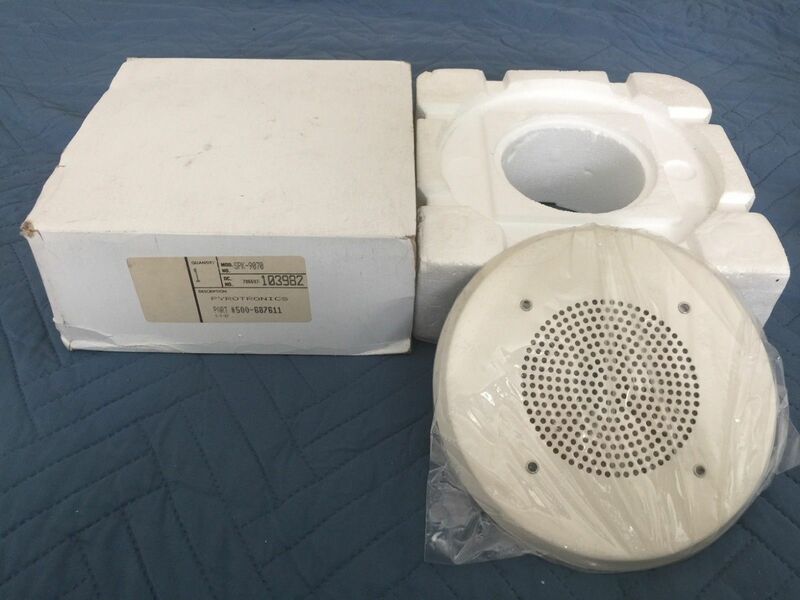 Now, this all seems like a pretty good answer, the SS70 alarms were just rebranded Wheelock speaker/strobes, but there’s no way to really verify it, and concrete verification is what I am looking for right now. So, I dug a bit deeper, and here is some evidence supporting that claim that the Cerberus Pyrotronics SS70-15/75 Speaker Strobes in the World Trade Center, were rebranded MTL-style speaker/strobes. I guess the first thing I would actually want to do would be to verify the authenticity of these alarms being that particular model number. 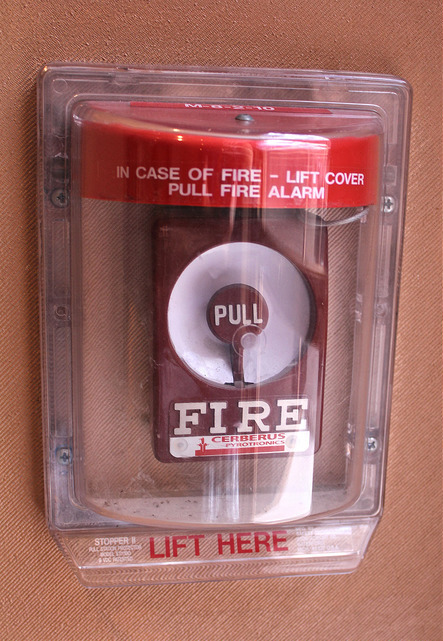 The link at the end of that post leads to the NIST report on the WTC fire alarm system. I believe that this document was the source for 95% of the material in my first post and is a very comprehensive review and description of the WTC’s systems. I would recommend checking it out, there’s some cool stuff in there. (Here’s a link to an archived version since it seemed like they moved the file to a different URL. On page 90 of that document, we get specific model numbers for what kind of notification appliances were being used. However, this document just provides us with info about the notification appliances with audio capabilities. Based off of the wiring diagrams on pages 59-61, it seems like the system was designed to be using remote ceiling mount speakers and remote wall-mount strobes separately. Unfortunately, there’s no concrete evidence as to the exact type of strobe used for visual notification, or maybe someone can located the referenced “documentaries” that show an RSS as mentioned in the quote from The Schumin Web. That alarm, of course, is a re-branded Wheelock E90-W (or similar) speaker. The reason why I was going through all of that was just to show that the WTC was using rebranded Wheelock Notification Appliances. There is also evidence to show that Cerberus Pyrotronics did rebrand Wheelock LSM Speaker/Strobes. From our friend Ben Schumin, here’s a photo of such a device. Note the Cerberus Pyrotronics label at the bottom of the alarm. Here’s a Cerberus Pyrotronics S75-STD (“Strobe”75-“SexuallyTransm….” oh….wait….”). Also, these very well could have been the type of strobe in the WTC, but that is just mostly speculation. 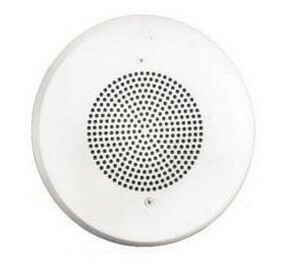 I recognize that the design of the speaker/strobe could have varied from the example above. For example, maybe it had the vandal resistant grille or the non-ADA strobe, but I think you get the point, and I hope you are happy at the evidence presented and the conclusion drawn. 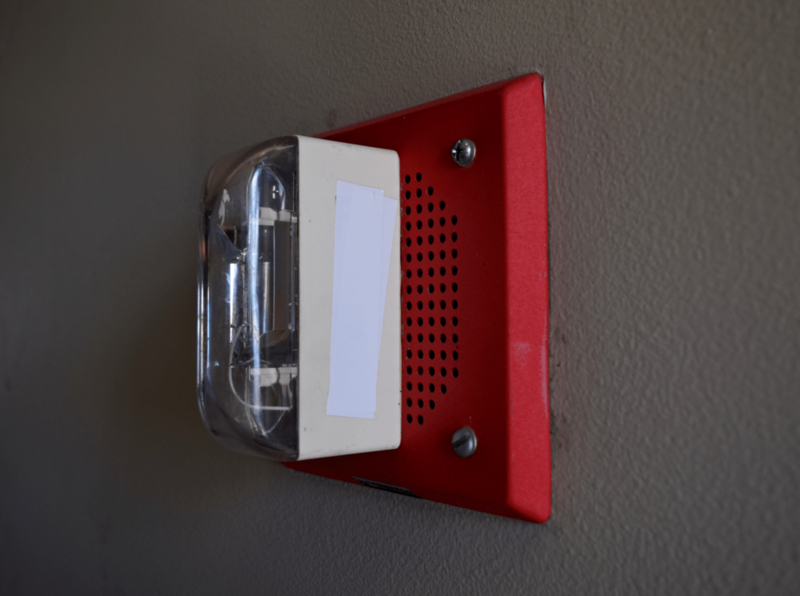 These were likely the notification appliances in the World Trade Center. 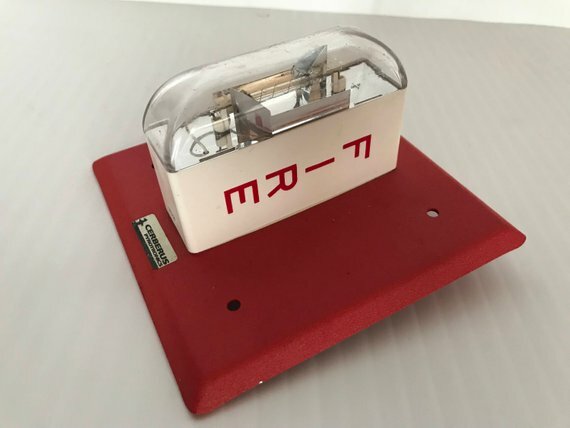 Also, as a bonus, here’s a picture of a Cerberus Pyrotronics branded Gamewell Century pull station, which were allegedly the type used in the World Trade Center. I’m posting this for no reason other than to prove that this rebrand does exist, verifying my claim that I made in my original post these were the pull stations used in the system.